Oils of Paradise Story - Organic Health & Beauty for you to Buy! Oils of Paradise products are designed to make you look fabulous, refreshed and feel confident naturally & organically. I envision having a shop that manufactures and sells body lotions and creams made from local products, and things that we already have in our land. My mission is to encourage women to stand tall, proud and comfortable in their own identity and spirit and not to be defining by their past or present status but to be successful in whatever they wish to be in the future. Oil of Paradise was founded around 2012. It manufactures and sells Body Moisturizers, Hair Conditioners, Shampoo, Soap, Hair Oils and Perfumes using local ingredients such as oils extracted from Nuts. At Oils of Paradise we truly believe that, feeling clean with our soap or moisturizing your skin with our body lotion can change the way you feel. With this in mind, we design our products to make you look fabulous, leaving you feeling refreshed and feel confident. Prior to Oils of Paradise, I was a single mother, trying to make ends with a salary of 20,000vt each month. My four kids were 12 years to 4 years. Many a night I lay awake worrying over what tomorrow brings, their school fees, food, paying rent, water and electricity bills and the list goes on. That was when I decided I have to take action, take risk because my kids’ futures depend on it. But with so little money and four mouths to feed, I make a deal with my employer, that instead of giving me money on my pay day, he will give me several liters of extracted Coconut (Cocos nucifera), Tamanu (Calophyllum inophyllumand ) and Nangai (Canarium indicum) Nut Oils. 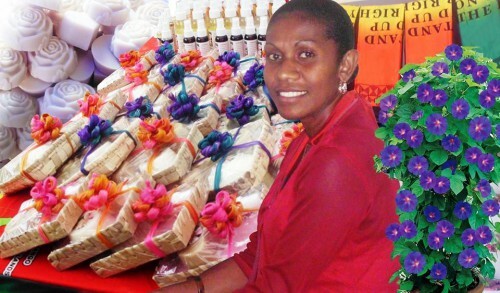 So that was the start to a lot of experimenting and the opening of the oils of paradise in Port Vila in 2012. My first job was being a mother; I became a mother at an early age (17years). During this time I was involved in the church with the Melanesian Brotherhood as a companion, a Sunday school teacher and helping out the women in our community with their weavings. I later work as a shop assistant at a Chinese shop. After my divorce I worked at an oil extraction company. Oils of Paradise to me is my identity, whenever am wearing my perfume, oil or lotion, am taking my local fragrance with me, which reminded me of my roots, where am from. It makes Oils of Paradise not only for men but very much a womanlee product. A lot of my suppliers are woman, so it networking is made up of a sisterhood of women nationally embracing their contribution to the world of business, making an honest earning from their locally grown plants, vegetables and trees. 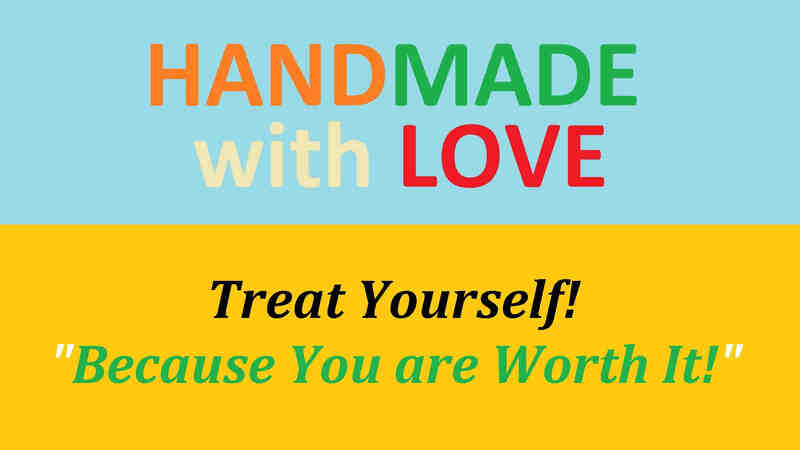 I provide products that carry symbolic representation for women to embrace their personal empowerment. At the basis of my vision and mission, I am fuelled by my desire to be able to make a difference to women in the grassroots level and nationally. The success of Oils of Paradise story will in turn allow me to contribute to a community of women that have been disempowered and provide resources that will assist and support fundamentals of security, health or equality. How this unfolds is yet to be discovered but certainly part of my big picture looking ahead. I look forward to brand partnerships and collaborations that will further aid this cause. I don’t think I have given up anything. I truly love my life. A few years ago, I might regret all money spend on products only to throw it again because it’s not the right product to sell. But I walk away from a steady monthly income to pursue a new dream and focus with Oils of Paradise full time. So whilst it wasn’t an easy decision it was balanced. I’ve had to give up school holidays and a consistent wage, but at the same time with Oils of Paradise I have so much flexibility to work in so many different ways. I think that it’s really important to understand this mindset and get comfortable with what you are walking away from and what you are gaining. This is where I find my perspective especially in the ups and downs of launching a business. I am most proud of what I have created with Oils of Paradise. The different products that have been produced from local ingredients and oil extraction from nut trees makes me proud. To make something that will brand Vanuatu and something I can call my own. I have been committed to that from the onset, and have had to get right out of my comfort zone and into an industry I knew nothing about. The learning curve has been steep, challenging and professionally rewarding. Personally my best life achievement is my family as we are a dynamic five, my incredible teenage daughters Kayline and Kaysline , my son Kayvans and the baby of the family little Kaytiana . We invest a lot of time into one another encouraging our strengths, goal setting and planning. Inspiring one another to be the best we can be. I believe the relationship we have as a unit has cultivated with our positive mindset stemming from what we value. It is imperative to not lose yourself or your own identity in any relationship. Choose your partners and friends wisely. Many of the women I meet and connect with are searching and finding themselves. Also as a result of feeling suppressed, restricted, bullied, abused and controlled in relationships and friendships. The negative effects of this have long term effects even after these relationships are over. It is important to be respected and valued for all that you are. Do not be afraid to action your dreams! I have created a life I love, and I am doing what I love. Getting Oils of Paradise started to where it is now has been such a significant journey. Over time with a personal and financial investment. Because I love what I do and I am living my purpose, I am more inspired and happy to work on it to see my vision through. Because every challenge I go through is my greatest stepping stone, giving me valuable lessons. Of course its finance, accessing a loan is very difficult without a guarantee. Getting funds for small and medium enterprise funding from government is difficult. Another major challenge for me is communication, to get contact with the suppliers on time to place order. Thus this is a disadvantage due to lack of telecommunication received in the remote villages in most of the islands. The next phase of my business journey is expansion. I now have three employees but I aim to provide more jobs to school leavers and single moms. In addition, I have been speaking at events, networking and collaboration opportunities between us and other women’s groups and organizations. This will certainly make for interesting and valued business connections in the years ahead. Oils of Paradise Story – We will update you as the story unfolds!